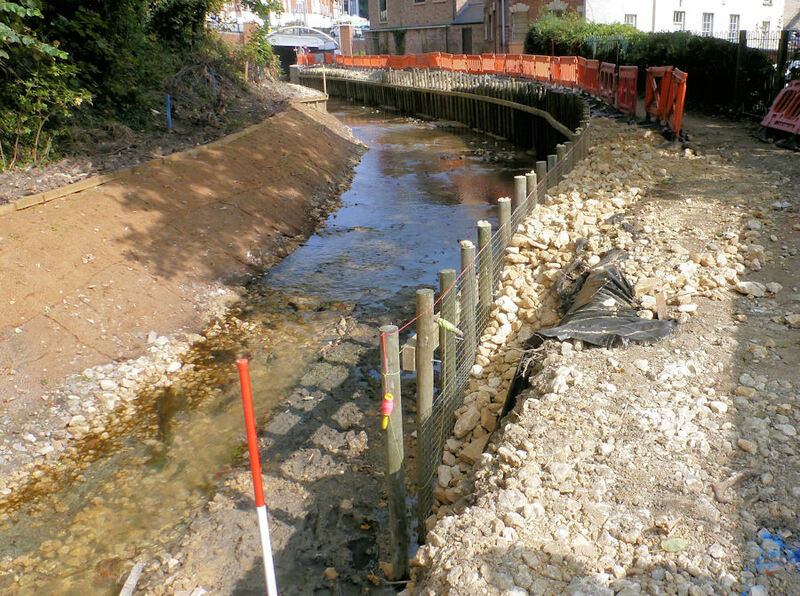 The post and mesh revetment along the north side of the lock approach channel is now complete. The revetment is back filled with stone over a polypropylene membrane. The stone is retained by a galvanised metal mesh supported by tanalised timber posts. Interested observers have enquired as to the longevity of this method. "This is an industry standard waters edge protection process. "And, as with lock gates, tanalised timber posts have a projected life span of thirty years." Click here to be further reassured about the lifespan of tantalised timber. 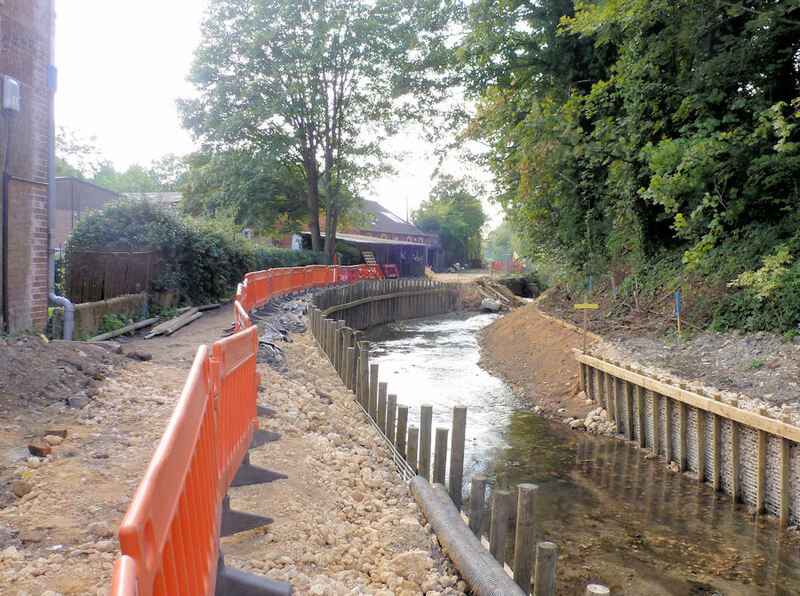 The Alun Griffiths team has also completed about half the revetment on the towpath side. This is taking longer than expected, due mainly to the hardness of the material beneath the site into which the timber posts are hydraulically hammered. The next operation will be to begin work on the bypass channel to carry the flow of Slad Brook around the south side of the lock. The surveyor's red & white pole marks the position of the fish pass inlet. Click on the icon below to view the Lower Lock Webcam.